What can I expect when purchasing from Zapon? When you order from Zapon, you are ordering directly from the manufacturer. This means that there are no third-party fees, no markup prices, and no delays in processing. We will work with you from start to finish to ensure that you are completely satisfied with your experience and your finished product! 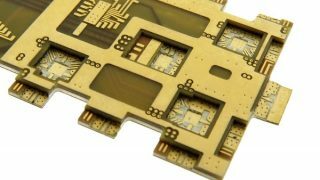 Each and every printed circuit boards we make are manufactured from only the best material supplies, allowing us to produce high-quality PCBs that are sure to catch the eye and are guaranteed to last! 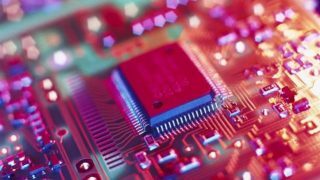 For many years we have been supplying printed circuit boards to businesses and individuals who have been looking for a reliable pcb manufacturer. This is why we are known as one of the best. I have been using Zapon as a printed circuit boards supplier for many years. Absolutely unbelievable, prices are excellent, The customer service, response times, and services offered are excellent, I’ve had 10 lots of printed circuit boards from Zapon. including one production of 6 layer PCBs. quality and delivery are excellent. I just wanted to say thank you for all of your help in getting these boards done. We will communicate and work with you at every step of the process, all the orders will check by our engineer before going to fabrication, and we are a Real PCB manufacturer not A broker. We shipped PCBs on time. actually we shipped 50% of our orders early! Zapon Also provide PCB prototype services, we offers high quality Printed Circuit Boards with best standards in the industry. zapon values the importance of the order and guarantees minimum lead time for delivery. the delivery time of the prototype standard is 8 days. also we provide quick turn service, please check with our sales for rush order cost for example 3 days, 4 days or 6 days. we have provided good old fashioned customer service that other printed circuit board companies seldom provide. Because of our ability to listen, communicate, and react, thousands of loyal customers choose our PCB services over the competition. Board thickness: 1.6mm, 1.0mm,1.2mm,0.8mm. copper weight: 1oz Green solder mask, white silkscreen. Testing. Why my order on hold? You can help to ensure that your PCBs gets manufactured without being put on hold. Please review these common reason for on-holds. For surface finish ENIG, it will be 3.5mil, for HASL, it go to 4mil at least.